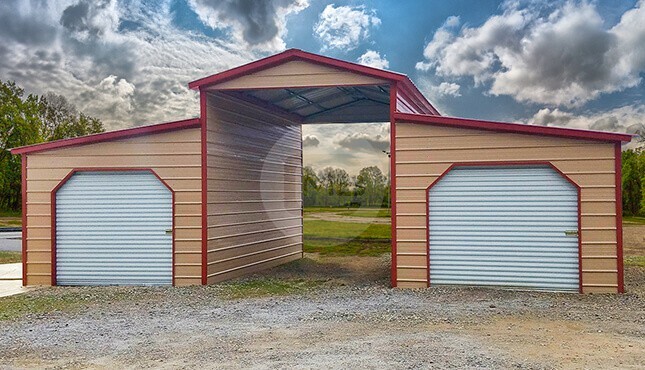 This Lena-to Metal Barn is certified for the heavy wind/snow load and will give you stress-free winters with its vertical roof style. 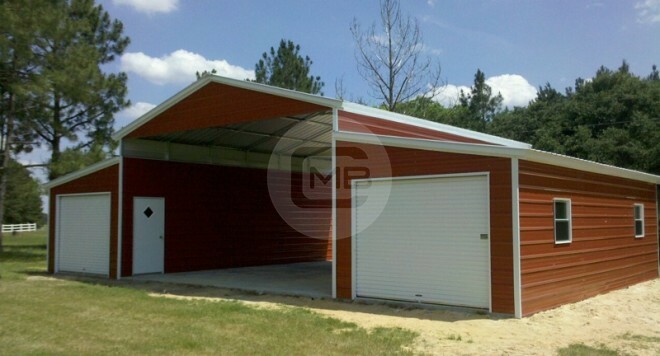 The total width of this lean-to barn is 36 feet, length is 20’ with a center height section height 12’. Attached lean-to’s height is 8’. 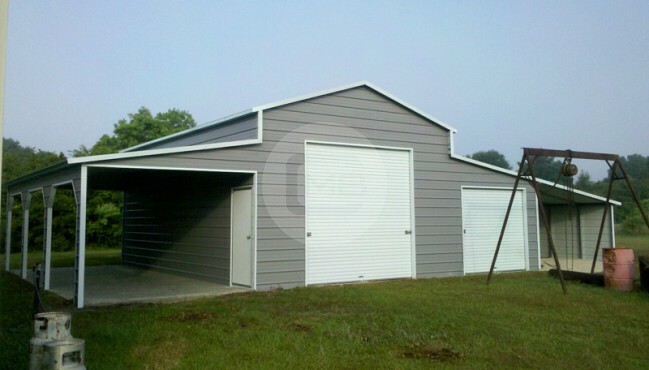 It has enclosed lean-tos with one 9×8’ garage door (45’ degree frame) on each front wall, two walk-in doors and 4 windows.